The Mid-America Truck Show this year was definitely a winner, in my books. I’m a truck enthusiast. There were trucks everywhere, including the manufacturer’s displays of the new year models of big rigs, back again after pulling out of MATS a few years ago. 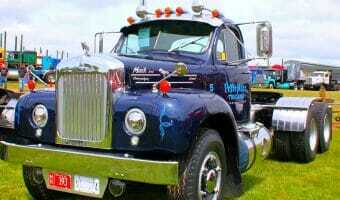 Vendors, displays and exhibits of interest for truck drivers: company drivers, owner operators and small fleets. But I must confess, the best part of the show (or any trucking industry show) is, well the trucks. That’s what I’m there for. And this year’s MATS in Louisville Kentucky, weather included, was a sure winner. Clifford, ON, comes alive on the Canada Day long weekend. 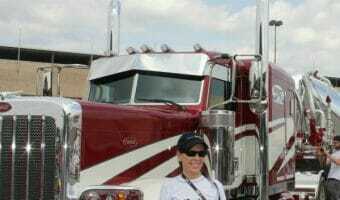 The Great Lakes Truck Club hosts the Clifford Truck Show, featuring a hot line-up of cabovers, Macks and older model rigs.